Map of Tennessee and Kentucky States in USA. Detail from the World Map. Can states just say “no” to foreign refugees? Tennessee is testing that proposition in federal court. 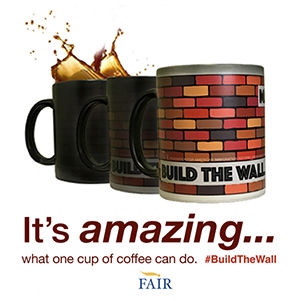 Tennessee vs. U.S. Department of State is a case every state and taxpayer should watch closely in light of new FAIR research showing per-capita refugee costs running nearly $80,000 over five years. Like other states, Tennessee experienced a surge in refugee arrivals during the Obama administration, with attendant increases in social-service costs to the state and its localities. The FAIR study does not break down the costs by state. Nor does it incorporate all the expenses incurred by them. So the $80,000 price tag is necessarily a lowball figure. 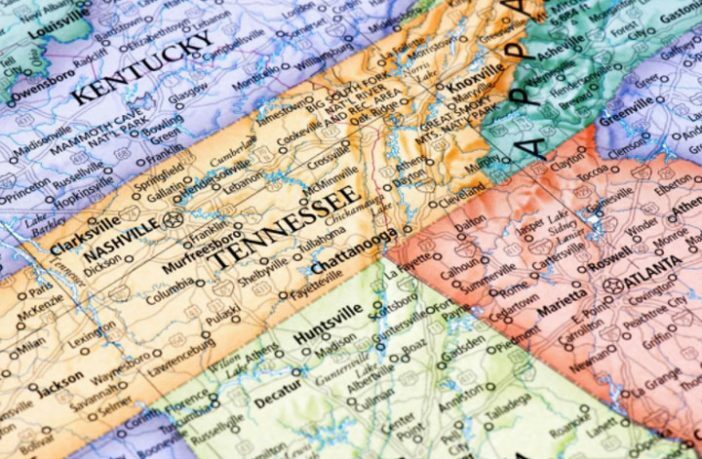 Tennessee argues the larger point: The U.S. Constitution does not endow the federal government with unbridled power to direct state spending or interfere with a state’s control over its own budget. Partial relief is expected as the Trump administration reduces the number of refugees allowed into the country, but reductions in federal refugee assistance over the past two decades have pushed more costs onto state and local governments. Unlike immigrants who are expected to be self-sufficient from the moment they arrive here, refugee resettlement is a humanitarian policy and we expect that there will be fiscal costs. These significant costs limit the number of people who can be resettled, and force us to consider how we can use limited resources to protect the greatest number of people. 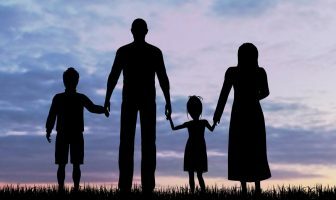 Refugees are eligible for a broad range of state-based welfare benefits, including housing assistance for as long as they reside in the United States. Education expenses, fueled by cost-intensive English Language Learner and special ed programs, are funded primarily by state and local taxpayers. Meantime, refugees pay only a fraction of their costs. FAIR estimates the average state and local income tax contribution per working refugee at barely $4,200 over five years. One in six adult refugees declare no income. The Volunteer State tried to get out of this lopsided arrangement in 2007. Washington responded by threatening to withhold federal Medicaid funding (20 percent of the state’s budget). Then the U.S. State Department “privatized” the refugee program, allowing Catholic Charities to circumvent state and local authority in Tennessee. 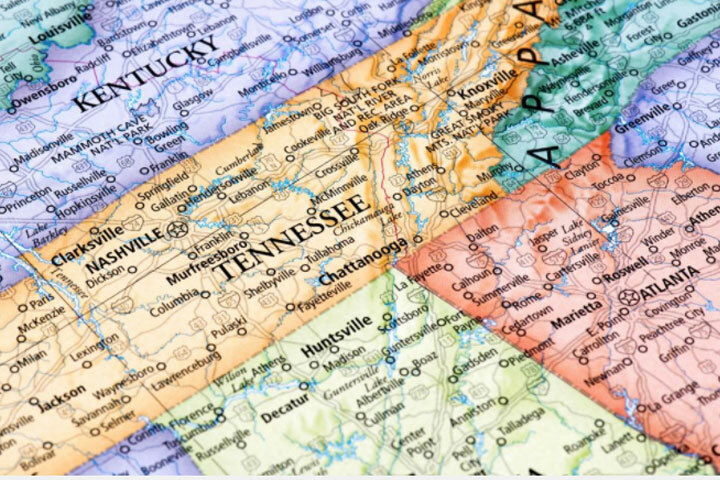 “The federal government nullified the decision of the people of Tennessee to withdraw from an ostensibly voluntary federal program and thereby commandeered state funds to support a federal initiative,” the Tennessee lawsuit argues. Tennessee is asking a federal court to rein in federal power and uphold what’s left of the Tenth Amendment. 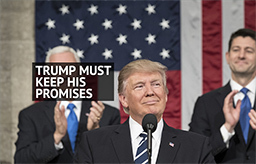 Failing that, President Trump could revoke the Clinton-era order (45 CFR 400.301) that empowers resettlement contractors like Catholic Charities to continue operations in states that opt out of the refugee program. States are supposed to be consulted on refugee resettlement matters for a reason. It is time for the federal government to listen to their voices. According to the Constitution, the law of the land, there is no question that state’s rights supersede entitlements of refugees or other group. Contrary to popular liberal belief, an entitlement is not a right. Pingback: Judge Rules on Unconstitutional DACA, Really? This should not be a case for the courts. Once the corrupt court gets it, it will rule unconstitutionally for the federal government and agencies. This is a constitutional issue wherein the power of “refugees entitlements” or any special privilege is not granted to the federal government. Our Republic is the Union of States, who have all power and authority not specifically granted to the federal government, which has very limited power. The fact that the federal government overreached its constitutional authority does not mean the States can’t take it back. The State has every right to refuse to fund any and all government mandates that are unconstitutional and, in fact, even if they are “unpopular” as clearly and literally stated in our Constitution and which does not need to be “translated” by any court. The State legislature made a serious mistake in allowing the federal govt to commandeer its budget in the first place. “President Trump could revoke the Clinton-era order (45 CFR 400.301)” So where is he on this? The Catholic and Lutheran churches are getting paid by the federal government to resettle refugees. For them, this is a cash cow. It’s time to stop this project in it’s tracks. No more money for refugee resettlement! There are a greater number of churches, much of the control in the main offices, that are being paid to bring these people into our country. Do your research. BINGO! These are often the same people who support the GOP. This is why I don’t like FAIR. 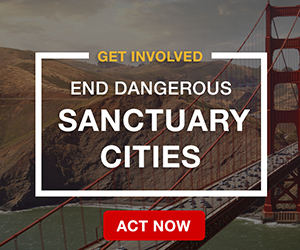 They rightfully call out some open border Dems., like Rep. Gutierrez, but give GOP members a free pass. It is often the same with the E9, where they give Rick Perry a pass, so his brothers’ homebuilding corp. can hire illegals. If Catholic Charities, and other such organizations are the one’s that are handling the “refugees”, how are THEY getting the funding for maintaining them? It would seem to me that the State should simply refuse to spend any of their monies, through the Church or any other sources, that give ANY support to those refugees. The Catholic Church certainly couldn’t afford to support them totally and I doubt that other States would either once Tennessee stopped forking over the money to the ‘charities’. Constitutionally speaking, Tennessee is correct. The Executive Branch may control them coming in, but they are the Feds responsibility. Much of our local governments city and county do not have the spine to stand up locally to either the state and for sure the federal government. Our liberal federal representatives have played our churches for the responsibility to bring these refugees into our communities. Money has been paid to a lot of church organizations at the top. There is no benefit to America coming from the majority of these immigrants. Most of them aren’t benefiting America and its citizens and they never will. A lot of these immigrants will remain leeches upon the backs of working Americans until the day they die. They won’t assimilate period. Whoever set these programs and policies up concerning these immigrants need to have their heads examined. Watch for the financial systems in America to collapse under the weight of these immigrants. Americas immigration policies have to be destroyed and new ones put in place just as President Trump proposed. No more chain migration No more Visa Lottery or America will go the same way the Roman Empire went, into the history books. Timothy,…..WISH YOU COULD SEND YOUR MESSAGE DIRECTLY TO PRES. TRUMP!!! Half of the world is hordes of refugees pouring across oceans and borders. Any UN/US agreements obligating us to accept and sponsor these refugees aren’t worth the paper they’re written on. Change your own country – not ours.